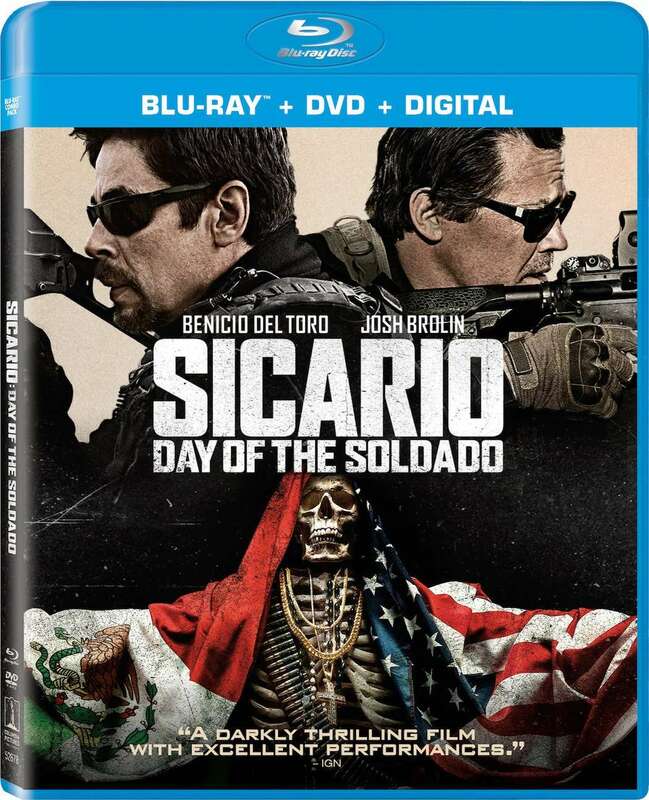 Sicario: Day of the Soldado, headlined by Benicio Del Toro and Josh Brolin, hits 4K Ultra HD Blu-ray, Blu-ray and DVD October 2nd via Sony Pictures Home Entertainment. This time out CIA operative Matt Graver (Brolin) is given the green light to wage war against Mexican drug cartels who may be responsible for smuggling terrorists across the order. Graver’s black operative Alejandro (Del Toro) and fellow operative Steve Forsing (Jeffrey Donovan) are also part of the operation which includes kidnapping a drug lord’s daughter (Transformer: The Last Knight’s Isabela Moner). When their operation goes sideways, Matt and Alejandro find themselves on opposite sides, thereby threatening their once solid partnership.